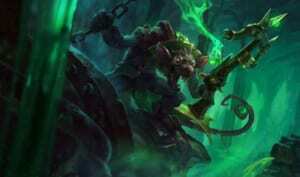 Fresh off the heels of Patch 7.14 where players saw the return of the tank meta by way of new items and the nerfing of some staple champions in specific roles, Patch 7.15 seems to continue its trend of a tank-oriented and engagement-heavy gameplay, but has also dusted and tweaked some almost-long-forgotten champions who are set to make a comeback. Patch 7.15 has touched on a lot of champions, tweaking most of them for the better, while hindering the effectiveness of some. This means that some tried and tested champions have fallen off a tier or two, while some old favorites are making their return to the Rift. Right off the bat, Maokai seems to be the biggest winner of Patch 7.15. His playstyle perfectly fits the current meta game, and he can be positioned either on Top Lane or Jungle. Once he farms his Righteous Glory, his initiating power spikes up – if his team wants to clash, all Maokai needs to do is activate Righteous Glory, zero in on a squishy target, cast Twisted Advance and follow up with Nature’s Grasp. Even after his rework, Maokai continues to hold his own in the Top Lane, besting out other popular picks. He is innately tanky and can soak a good amount of damage against tanks, duelists and divers up top such as Fiora and Riven, and can even trade with them thanks to his reworked Sapling Toss and Bramble Smash. As a jungler, Maokai has pretty amazing ganks – his Twisted Advance and Bramble Smash combo will hit most of the time, and Nature’s Grasp ensures his targets remain rooted. 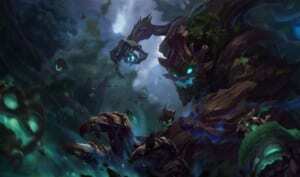 His Sapling Toss also serve as free wards for his teammates – players who are well-versed with Maokai can place Saplings on brushes and near creep camps to detect where the enemy jungler might be lurking. 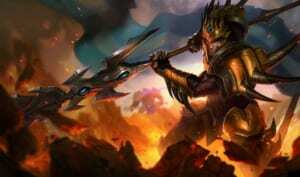 Another Juggernaut who has seen some big improvements in play rate this recent patch is Cho’Gath. Often considered to be a champion that is hard to master due to his skill shots, he was recently reworked, and is now back terrorizing the Top Lane and the Jungle. His new Feast mechanic now doesn’t lose stacks when he dies – in fact, he can devour as many champions as he can to keep growing! Feast also scales with his health now, which leads to his must-have items: Righteous Glory and Gargoyle Stoneplate. In the right hands, Cho’Gath can use Feast to grow and gain additional health, and when he sees fit, he can start team fights with Righteous Glory, activate Gargoyle Stoneplate and one-shot low-health carries. Of course, he can only do this once he has at least more than 10 to 15 stacks of Feast which is not impossible to attain. Even in Patch 7.15, Darius is still a perma-ban champion for a reason. He still has a good laning phase, deals consistent damage even if you play him as a tank, and can overturn any clash once he gets his Noxian Guillotine going. Thanks to the reworked and new tank items, players can play the Hand of Noxus as an initiating tank and continue to deal damage and dunk on enemies. The Prince of Demacia is back on the top lane this patch, thanks in large part to one item – Gargoyle Stoneplate. He remains a good initiator and can deal surprisingly decent damage to opponents. But due to the addition of Gargoyle Stoneplate, Jarvan’s tanking capabilities are greatly boosted. His kit now allows him to get into the fray early, and once he is in the thick of the clash, he can activate Gargoyle Stoneplate and wait until his skills are off cool down, and then he lathers, rinses and repeats his combo. 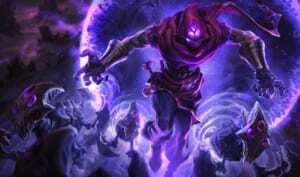 Malzahar benefited from the reworked Banshee’s Veil from patch 7.14. Now in Patch 7.15, he still continues to be a solid pick in mid lane, despite some nerfs with his skills, particularly Void Spawn. Malzahar can still farm for his items, has good dueling capabilities, and provides single-target lockdown potential. Once he gets Banshee’s Veil, it makes him even harder to disable due to the double shielding he receives with Void Shift. Enemies will need to spend to skills on him to deactivate his two spell shields, and by then Malzahar’s team could have overrun them already. 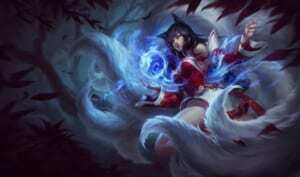 Ahri is another champion that benefited from an initiation-based meta game. In the hands of skilled players, Ahri is a force to be reckoned with. Her skill set makes her highly mobile which she uses to evade clashes and ganks, and take out single targets easily. Defensively, Ahri has been susceptible to being punished if she fails to land her skills and is often prioritized by enemy crowd control. The reworked Banshee’s Veil provides her with protection from one single-target crowd control skills, giving her some elbow room to land her combo. Anivia has returned to prominence in Patch 7.15 due to the current meta where initiation is key. 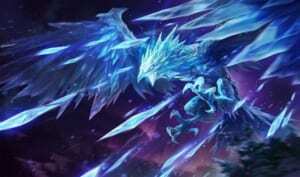 Anivia is one of the champions who thrives in team fights where she can damage, displace, slow and stun enemies. Offensively, she is strong when following up on her team’s engage tactics against enemies, displacing and blocking off escape routes and their reinforcements and picking off low-health champions. One of the other tanks who has seen a resurgence is Sejuani. 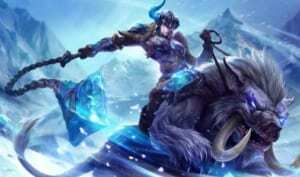 In the current meta where tanks have more options to initiate and shoulder incoming damage, Sejuani has become a good jungle option for teams. She has good initiation skills right off the bat, and has decent to good ganks, especially in the hands of capable players. More importantly, her more relevant skills scale with her health, and given that most of the current tank items give bonus health, armor and magic resistance, as well as mobility, Sejuani can have free range around the map once she gets her ganks and items rolling. Getting top spot in Patch 7.15’s God Tier List for marksmen is Zaun’s resident sewer rat, Twitch. Unlike most of the champions in this list who rose to the ranks because of direct buffs from their skills or item builds, Twitch and some of the other marksmen mentioned here have taken the spot from the recent God Tier ADCs, mainly Caitlyn. Caitlyn has been hit with a lot of nerfs since the recent patch, and in doing so, has made her a less appealing champion to take. Twitch, on the other hand, was not touched during this patch, and his hyper carry and tank-melting status makes him an excellent pick for a marksman in any team composition. 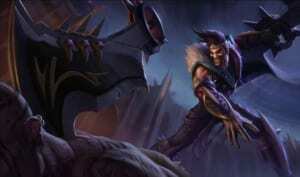 The second marksman who has risen up the ranks is Draven. He continues to have excellent damage output and one of the snowball champions who relies on getting the most out of his passive, netting kills and buying his core items. In the current meta, he can do those things by staying in the back line and hurling his axes on disabled enemies during clashes. 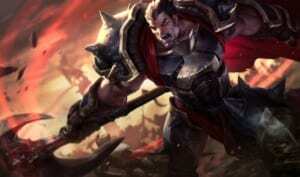 If you want pure physical damage and strong one-on-one ADC who is not named Vayne, look no further than Draven. 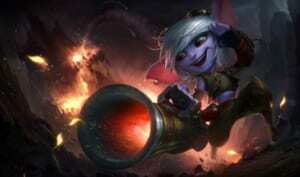 Rounding out the God-Tier Marksman for Patch 7.15 is Tristana. Right now, the Meggling Gunner is a good option when you aim to push lanes and provide lane pressure. Tristana is one of the marksmen who was not hit with any direct nerfs, and her kit and playstyle suits players who want to play a well-rounded ADC. She has a good and safe laning phase which scales nicely from early to mid and late game. She also has decent mobility and one-on-one capability once she gets her core items. Janna is the safest support to play for Patch 7.15, and has the highest win rate at the moment. This is due to the fact that the current support items, Ancient Coin or Nomad’s Medallion, synergizes with her already safe laning phase. She shines in the current meta where initiating team fights is the norm – her kit specifically deals with disengagement and thwarting enemy advances during clashes, allowing her team to regroup and focus down high-priority objectives while not dying. Apart from being the safest lane support, Janna also has the most gold farmed as a support, thanks to Ancient Coin, so much so that she can opt to rush more offensive support items such as Ardent Censer first before Sightstone because she can easily get her gold from the coin pickups and assists for her team. 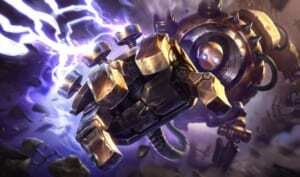 Blitzcrank is also another good support pick in Patch 7.15. Primarily a skill-based support champion, he is one of the support champions who can initiate team fights by grabbing a high priority enemy champion and having his team burst them down. Conversely, the Steam Golem can straight up walk into the enemy team soak initial damage and disable them with his ultimate, and hook their squishy carries amid the chaos, thanks to the new tank items at his disposal. 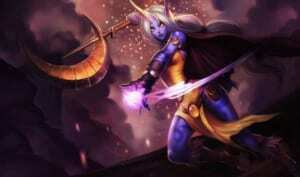 Wrapping up the support champion God Tier list is Soraka. She is another specialized support champion who has an even safer laning phase in Patch 7.15 thanks to the Ancient Coin item. Her passive gold income is second only to Janna, and she can heal her lane partner without worrying too much about mana due to Ancient Coin. In team fights, she is capable of healing her whole team while punishing the enemy team’s initiator with her area-of-effect stun and slows. In most cases, enemy teams tend to gravitate their efforts in eliminating Soraka first even more than her lane partner, as her healing prowess is just that invaluable to her team. And that sums up the God Tier champions for Patch 7.15. If you want to learn more about Patch 7.15, click on this link.